Home gardeners and horticulture professionals can learn about the latest plants, research and gardening techniques during the 39th annual Fall Flower & Garden Fest on Oct. 13 and 14. 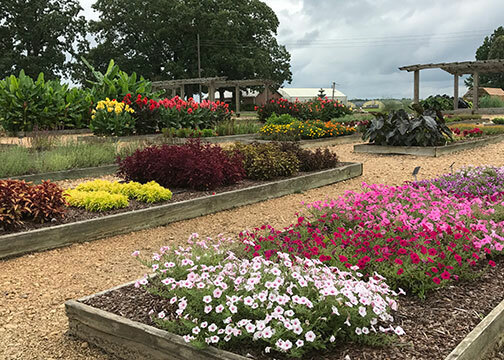 The event is the Southeast's largest home horticulture show and draws an average of 5,000 people each year to the Mississippi State University Truck Crops Branch Experiment Station. The station is located at 2024 Experiment Station Road in Crystal Springs. The MSU Extension Service and Mississippi Agricultural and Forestry Experiment Station sponsor the fest each year. Extension Service and Experiment Station experts along with industry leaders and Extension Master Gardeners will share information on vegetables, flowers, herbs, turf, beekeeping, composting and more. Gates open at 9 a.m. and close at 2 p.m. each day. Admission and parking are free. The fest is handicapped accessible. Educational seminars on several topics of interest to home gardeners will be offered at three locations simultaneously throughout both days. Among the workshop and seminar topics are herbs, pond management, shade gardening, butterfly gardens, specialty crops, flower gardening, backyard wildlife habitats, and pest, disease and weed management. Attendees can also participate in wagon tours of the 175-acre station and informational walking tours of the gardens that showcase All-America Selections winners, Mississippi Medallion winners, and other tested landscape and garden plants. The Truck Crops Branch is dedicated to year-round research on home and commercial fruit, vegetable and ornamental crops. More than 60 vendors will offer a variety of plants, yard art and gardening tools for purchase. Representatives from the Mississippi Museum of Natural Science will be on site with live animals. For more information, visit the Fall Flower & Garden Fest website at extension.msstate.edu/fallfest or contact the local MSU Extension Service office or Rick Snyder at 601-892-3731 or rick.snyder@msstate.edu. For event updates, follow the fest on Facebook at facebook.com/FFGFest and on Twitter at @MSUFallFest.